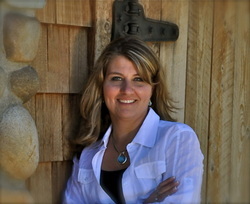 Lisa Wiedmeier is a self-employed bookkeeper who lives in Idaho with her loving husband, two sons and crazy dog Mandi. She has tamed the wilderness of her imagination and she has recently completed 8 novels in her Timeless Series, with a ninth book upcoming and a new novel The Gate also in the works. Murder, romance, secrets and hidden pasts. Deception from every angle—who's telling the truth? Cheyenne Wilson's life is thrown into turmoil after her adoptive parents are killed in an accident. With only her best friend Colt to comfort her, she scours through the family archives, hoping to quell her grief. Instead she begins to unravel the mystery behind her birth parents, and her secret heritage. She is a Timeless- a being that ages one year for every hundred human years when they reach their twenties- and of the royal line, destined to gain great power. Still reeling from the revelations of her secret birthright and fated betrothals, Cheyenne's thoughts tumble over her whirlwind past year since the death of her parents. Vowing to close herself off to spare her heart more pain, she keeps her distance and seeks her own path. But Colt, Daniel and Callon are constantly at her side, not giving her room to breathe or let her come to terms with her destiny. At the same time, her transformation into a Timeless begins; a process that could very well kill her. As if that wasn't enough, her enemies are still out for her blood, and no-where is safe. Though new allies appear to protect her from the unseen dangers, which ones are friend and which are foe? 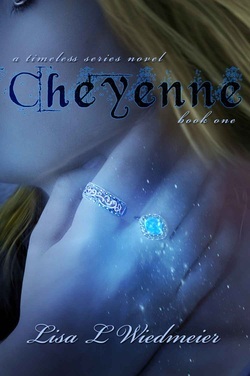 And can Cheyenne stand the ultimate pain of all . . .
Addy is looking forward to her senior year, going to prom, making new friends. But her world is turned upside down when her father announces they're moving. And not just up state- they're going to Ireland, where he hopes to continue his research into a cure for her mother's illness. 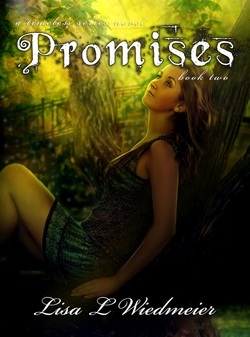 Along the way she stumbles across the mysterious Keir, a young man hiding dark secrets. Her curiosity gets the better of her, and Addy is suddenly thrown into a dangerous new world filled with deception, magic, friendship and betrayal. Can she survive this new kingdom; more importantly, will she ever return home? Pictures and text above provided by Lisa Wiedmeier.